The space requirements that we would recommend are outlined below. 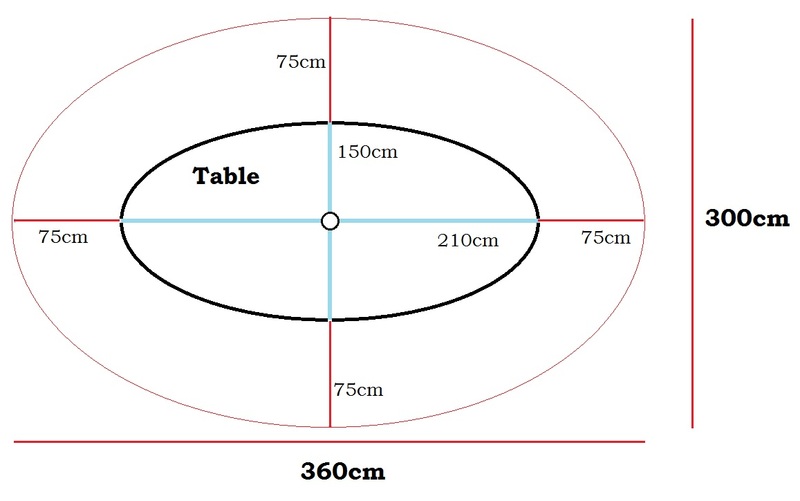 We say as a general rule, that you should allow for 75cm either side of the table for a chair to be pulled away. 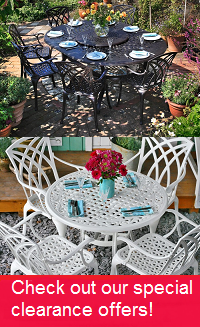 An example of what an 8 seater garden 210 x 150cm table set would look like is shown below. If you have any special requirements and would like to speak through the dimension recommendations with a member of staff, please do not hesitate to get in contact.